A vast area of Hungary sits over natural thermal springs providing mineral and curative waters to more than 1,000 wells that produce water of 86° F (30°C). The Romans used these waters to create public baths; in some areas, remnants have survived giving us a peek into their culture during that time. Later, the Turks built thermals within city walls to have a place to bath during times of war. Arslan, the pasha of Buda, is believed to have started the construction of the Király thermal baths in 1565, making it the oldest thermal in Budapest. It is one of the last tokens of Turkish history within the city. Its water is piped in from the Lucas thermals. 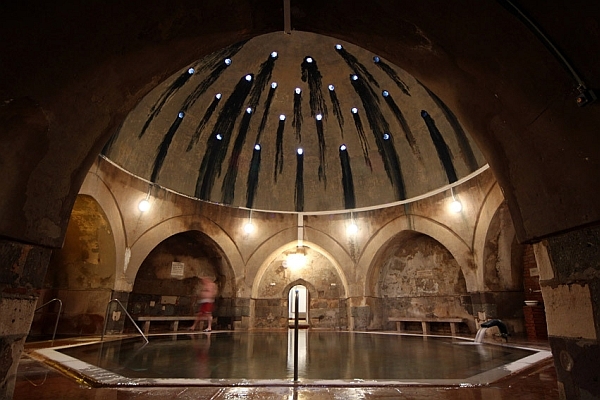 Although the Rudas bath was believed to have been built in 1550, it was rebuilt by Pasha Sokol Mustafa in 1566, so making the Király thermal the oldest in the city. 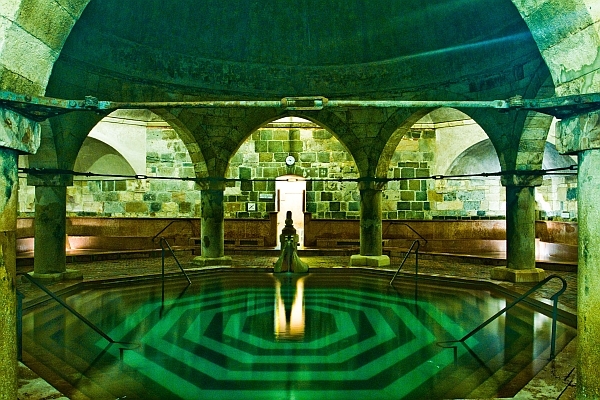 In this guide we will not cover the 150 hot water spas in the Hungary, nor the 36 medicinal spas amongst them. Medicinal thermals are wellness establishments utilizing balneotherapy. Balneology is the scientific use of bathing as a treatment for diseases. Goals for these treatments are to enhance the immune system, stimulate the circulatory process including lymph and blood circulation, accelerating cell activity, dilating tissue and vessels while activating the body’s own healing process. Medicinal waters have been found to contain various amounts of sodium, magnesium, calcium, and iron, as well as arsenic, lithium, potassium, manganese, bromine, radioactivity, sulfureous acid, salt bromine carbonate, and iodine depending on the area. Not all thermal waters are created equal; it depends on the geography of the areas. Waters at different thermals will have differing compounds and ratios of minerals, while some may be missing a number of them. The medical treatments provided are dependent on the mineral contents of the water. With an increase in tourism, the term wellness has expanded from health wellness to being pampered. Some thermals or wellness hotels offer exotic treatments like a wine, chocolate, or honey massage for example. While this may lift your spirits at the same time as putting a bit of a strain on your bank account, these types of treatments are not intended to provide long-term health benefits. In this section, I will give an overview of some of the physical health wellness treatments available at the various thermals. 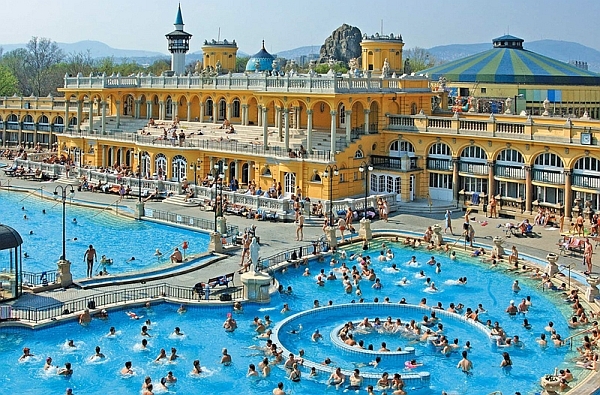 Budapest has been called the Worlds Spa Capital, so starting in the capital the Király thermal offers thermal pools of various degrees of increasing temperatures. The waters are believed to be especially healthy for degenerative illnesses of the joints, chronic and semi-acute arthritis, deformations of the vertebral spine, dislocation of vertebral discs, neuralgia, and calcium deficiency. At the Rudas bath, in addition to the thermals, they have a complex for physiotherapy, a day hospital where they perform physical therapy services. Here you will find radioactive hot spring water with calcium-magnesium-hydrogen-carbonate 9 and other goodies. This water is used for treating the same medical problems as the Király thermal. The Gellért’s waters are composed of similar qualities as the others. In addition to the ailments listed above, these waters are recommended for aortic stenosis and problems with blood circulation. The Gellért bath also has an Inhalatorium where they provide treatment for issues with asthma and chronic bronchial complaints. A doctor is on the premises where one can be diagnosed and prescribed a treatment plan all in one place. The Inhalatorium is separate from the thermals, but in the same building. Széchenyi thermals are probably best known for the ubiquitous pictures of men playing chess in the pool. The waters here are proposed for the same bone problems as the other thermals, but they also have a “drinking cure”. Drinking the waters is supposed to bring better health to your internal organs. It will definitely flush your colon in the process, so detoxification is on their list of treatments. With their expanded services, they offer a full-range gym with a trainer. 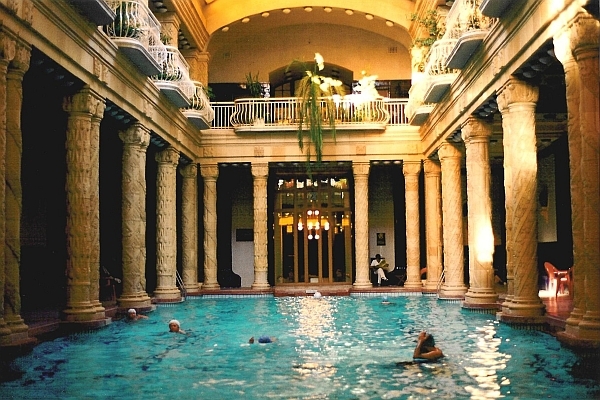 The second-largest spa in Hungary, the Medicinal Spa of Bük. Termál krt. 2, Bükfürdő, is just 40km (25 miles) from Sopron. Although the list of water properties is longer than my arm, the basics include alkali hydrocarbonate, calcium, magnesium, and fluoride. Water treatment is indicated for cures of all bone and muscle disorders in addition to digestive, chronic gynecological and urological inflammations, and even gout. The drinking cure is recommended for chronic gastritis, ulcers, indigestion, and preventing osteoporosis. With a medical doctor on the premises, you can have an examination and treatment plan created for you on the spot. Near Eger, is a small village called Egerszalók with medical waters and treatments. Egerszalók is in the northern part of Hungary, near the Lasko stream, at the foot of Bükk mountain. It is the country’s youngest spa. The bath is fed by 2 thermal sources at a blistering 154-158°F (68°C) from a geyser. Curative effects are suggested for joint pain and bone problems. never goes below 79°F (26°C) in winter. The inorganic mud combined with the highly organic fango from the bottom of the lake is used as a curative mudpack for rheumatism. 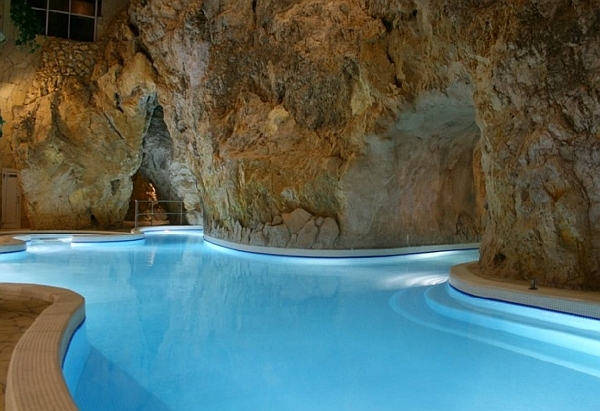 Europe’s only cave spa is the Miskolc-Tapolca Cave Spa. In the cave, the spa is a toasty 86°F (30°C). The medicinal area offers services for hydrotherapy, medicinal and refreshing massages, electrotherapy, and also offers a consultation by a rheumato-logic specialist.. The rest of the area is recreational. It is open daily from 9am to 6pm, closed in January.